Megan Grossi, 17, and her mother, Carol Ann Desiderio-Grossi, look through her acceptance materials from Ohio Wesleyan University. Seventeen-year-old Megan Grossi of Malden has filled out her college applications, applied early action, and received acceptance letters from all four of her chosen schools. And now the hard part — figuring out how to pay for it all. Grossi, a senior at Mystic Valley Regional Charter School, has received a commitment for an academic scholarship at her top choice, and is scouring for local and national scholarships. Up next, she said, is filing the dreaded financial aid form that all students must complete to be considered for any federal aid such as grants, scholarships, loans, and work study. This year’s version of the Free Application for Federal Financial Aid was made available Jan. 1. Grossi’s top choice, Ohio Wesleyan University, has already offered her a scholarship covering 60 percent of the $51,000 annual cost. Desiderio-Grossi said while the aid sounds like a lot, it still leaves a gap of nearly $100,000 over four years. That’s why they will be among the many families filling out the FAFSA over the next few weeks. Martha Savery, a spokeswoman for the Massachusetts Educational Financing Authority, said all families should take the time to fill out the FAFSA even if they don’t think they will qualify. Not only could a family’s financial situation change, she said, but the form is necessary for federal student loans, which are available to any student regardless of need. And it’s free. Like college applications, deadlines for applying for financial aid vary from school to school, officials said, which means families must take careful note of the earliest date by which the form must be filed. “Families really need to be on the ball to start the process,’’ said Savery. Deadlines typically range from mid-January to March. 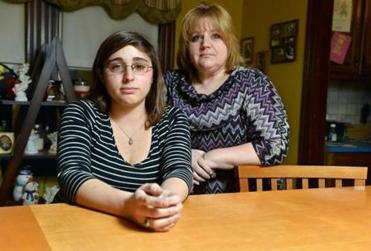 Megan Grossi, 17, a Mystic Valley Regional Charter School senior, and her mother, Carol Ann Desiderio-Grossi. The other key is having all paperwork together before starting the process, Savery said. To start the form, families will need a FAFSA PIN, which serves as an electronic signature. This is available at www.pin.ed.gov. Parents and students will need to have Social Security numbers, driver’s license numbers, their most recent federal tax returns, the most recent W-2 or year-end pay stubs, untaxed income records, bank statements, and business and investment records. “Being organized and having all the information there is really what makes it a simpler process,” Savery said. She said it takes most families about an hour to complete the form if they have all their records together. Savery said there are many resources available to help students and parents prepare and file the form. In addition to resources online at www.mefa.org and www.fafsa.gov, families can receive personal assistance from financial aid experts at upcoming events organized by the state agency. The resources help families answer questions about a variety of topics including assets, what records are needed, and how to link updated tax information. There are also answers to complicated family situations such as divorce, noncitizens, and emancipated minors. The Massachusetts Educational Financing Authority helps organize FAFSA Day Massachusetts, a volunteer program in its 10th year providing free assistance to students and families seeking to complete the form. More than 20 FAFSA Day events will be held throughout the state, most on this Sunday or on Feb. 23, though the dates and times vary by location. A list of all locations is available at www.fafsaday.org. Massasoit will host a FAFSA Day event on Feb. 10 at 6:30 p.m. This is the second year Massasoit has hosted the event, which was previously held at Brockton High School. About 200 parents and students typically attend, Courtright said. 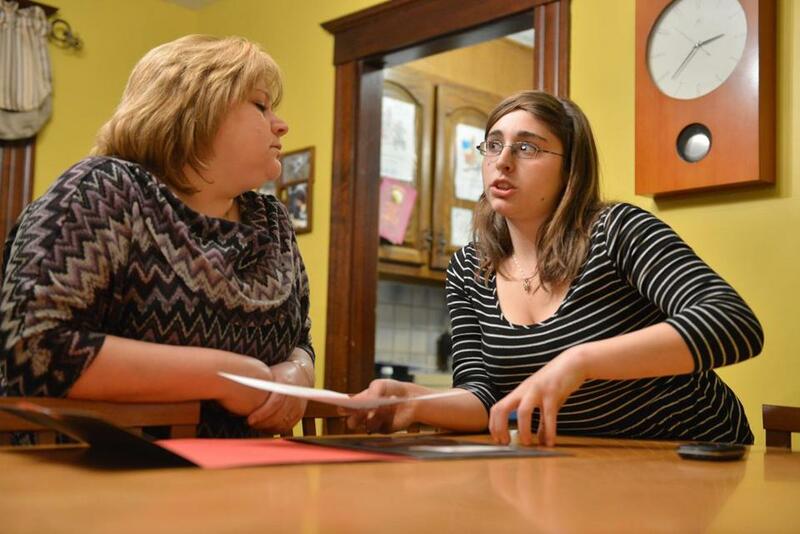 Elizabeth Hennessy, the director of counseling at Blackstone Valley Regional Vocational Technical High School in Upton, said families can walk into a FAFSA Day event not knowing where to start and leave having the form completed and filed. “It’s really streamlined,’’ Hennessy said. Blackstone Valley’s event will be held Sunday at 1 p.m. When families arrive, they will be asked questions such as whether they need an interpreter, have they started the form, or do they just have a few questions. Families just starting will get a brief overview and then can sit down at a computer and complete the entire form. If they want to finish later, they can save the information, Hennessy said. Families with a question or two can go to FAFSA Express, where they meet individually with experts and leave when they are ready. Hennessy said the financial experts come from all over the state, which means families don’t need to worry about sharing personal information with people they know in their community. Once families get a confirmation that the form has been completed, they will wait to hear from the colleges about award letters, which typically arrive in March, Savery said. Until then, families like Grossi’s will search for ways to help pay for the hefty bills that start next year. Desiderio-Grossi said between savings, loans, scholarships, and financial aid, she hopes to have enough money so her daughter can attend her dream school. Jennifer Fenn Lefferts can be reached at jflefferts@ yahoo.com.